The International Association of Privacy Professionals (IAPP) is the world's largest and most comprehensive global information privacy community. Established in 2000, the IAPP is a not-for-profit, non-policy, professional association with a mission to define, support and improve the privacy profession globally. Based in Portsmouth, New Hampshire, and with an office in Brussels, Belgium, the IAPP currently has more than 45,000 individual members in 100 countries around the world. It provides privacy and data protection training, certification, publications, research, events and networking opportunities for its members. The IAPP is responsible for developing and launching the only globally recognised credentialing programmes in information privacy. The General Data Protection Regulation (GDPR) which came into force on May 25th 2018 covers all of the above areas. The GDPR requires that many organisations appoint a Data Protection Officer (DPO). The IAPP estimates that more than 75,000 DPOs will be needed to meet GDPR compliance requirements. Are you DPO ready? Are you wondering what you need to become a certified DPO? Whether you are taking your first step of awareness, or are ready for certification as a data protection professional, our IAPP courses will help you along the way. In particular, the IAPP's CIPP/E and CIPM are the ANSI/ISO-accredited, industry-recognised combination for DPO readiness. There's no better way to prepare for the role of a data protection officer, or to exhibit your DPO prowess to the world, than by training for and attaining these two world-renowned certifications. Alternatively if you are an IT professional responsible for technology, security, software engineering or privacy by design, then the CIPT is the course for you. 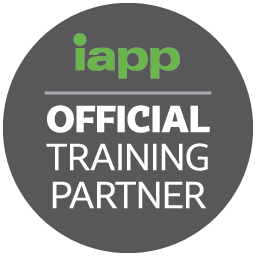 Our partnership with the IAPP gives you access to the very latest in privacy training and IAPP certifications.